Contact Companies House on their UK phone number 0303 1234 500 for technical support when searching for an organisation, for assistance registering a new company and to submit your annual returns. Contact Companies House by phoning their general enquiries phone number 0303 1234 500 for technical support whilst using their online service to search for company details such as registered address, current officers and insolvency details. Likewise you can phone this helpline for assistance when filing your confirmation statement which was previously known as an annual return. For instance if you have forgotten your account details such as your password you can phone their staff to receive a reminder. By contrast if your company has been declared insolvent or you wish to dissolve your holdings you can call this number to request your business to be removed from the Companies House register. If you would prefer to submit written forms to form or dissolve a company then you can call this helpline to order these to your registered company address. Companies House operates a national 03 helpline which is charged at identical rates as local numbers which start with any 01 or 02 area code. Therefore you can normally expect to pay a single access charge to connect the call followed by a per-minute rate which varies according to the time you make the call and which network operator you subscribe to. However you can avoid these charges if you receive the use of inclusive minutes on your landline and mobile tariff as these can be used to phone any local-rate helpline. If you are hard of hearing you can contact Companies House on their dedicated minicom number 0292 038 1245 for textphone support when filing registration details for your company. This service is charged at national call rates, note that you should have a device equipped for typing when dialling this number. Phone Companies House from outside the UK by dialling their international contact number +44 303 1234 500 for details on which documents need to be filed for overseas companies with operations in the country. Similarly new public companies formed under the Societas Europaea protocols can phone this helpline for a full list of forms required to submit confirmation statements (annual returns) to Companies House. Please be aware that calling this number from outside the UK will normally cost significantly more than the equivalent local call, check with your provider for confirmation of international tariff pricing. You may also need to write to Companies House for detailed enquiries and to submit the requisite forms when issuing new shares for example. Therefore they offer a selection of postal and email addresses which you can use for all written enquiries. 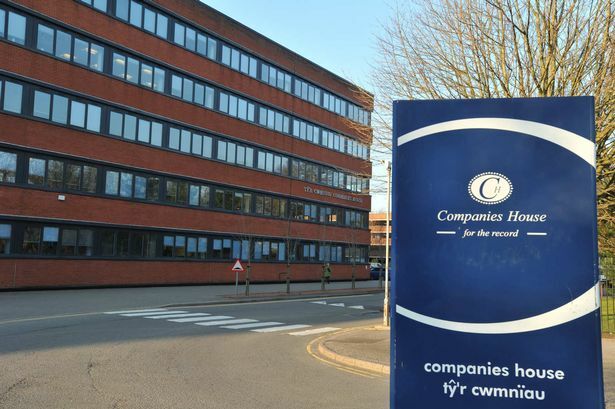 Companies House, Crown Way, Cardiff, CF14 3UZ, Cardiff, United Kingdom. Companies House, 2nd Floor, The Linenhall, 32-38 Linenhall Street, Belfast, BT2 8BG, United Kingdom. Companies House, 4th Floor, Edinburgh Quay 2, 139 Fountainbridge, Edinburgh, EH3 9FF, United Kingdom. Companies House, 4 Abbey Orchard Street, Westminster, London, SW1P 2HT, United Kingdom.